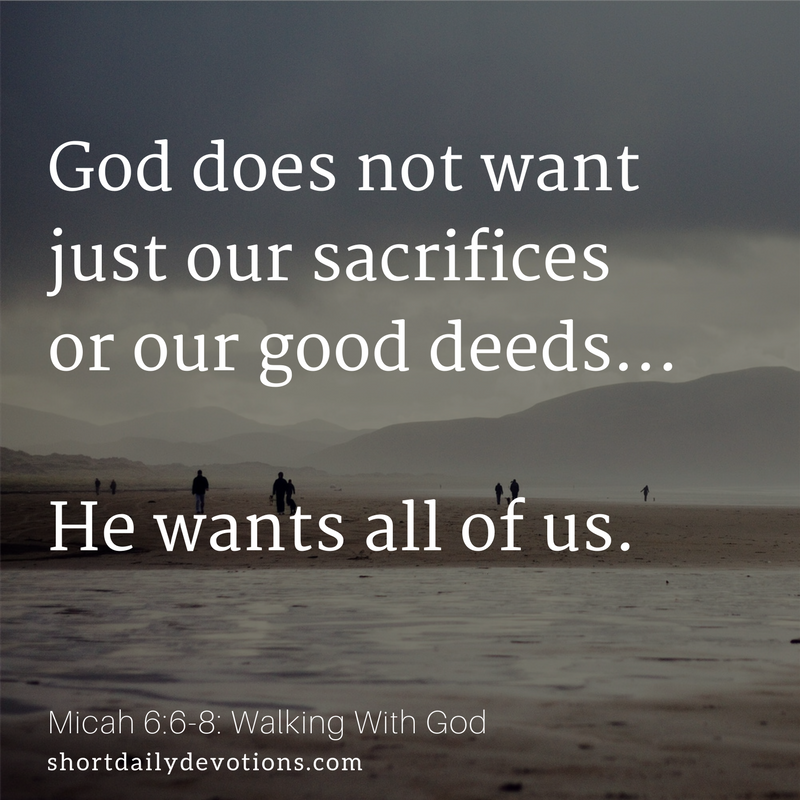 God does not want just our sacrifices or our good deeds. He will not share us with our ambitions or hobbies. He wants all of us. Sunday mornings and a few quick prayers said before we lay down to sleep are not enough. He wants us to relentlessly pursue him. Not because he needs us, but because we need him. We were created for worship and to bring honor and glory to his name. When we don’t give ourselves fully to God, we are the ones who suffer. The endless pursuits of personal pleasure always lead to emptiness. God is jealous, not because our rejection hurts his ego, but because it hurts his heart. He knows our greatest needs and that he can only truly fill us with joy. When Jesus said, “But seek first his kingdom and his righteousness, and all these things will be given to you as well.” (Matthew 6:33). He made it clear that everything we needed would be given if we would simply put him first. This is in no way a prosperity gospel. Jesus cast no illusions that the Christian life would be easy. He meant that He is all we truly need. Paul got this. He learned to be content no matter what his circumstances. He learned the secret of true happiness. When he said “What is more, I consider everything a loss because of the surpassing worth of knowing Christ Jesus my Lord, for whose sake I have lost all things. I consider them garbage, that I may gain Christ” (Philippians 3:9). He was essentially saying Jesus is enough. Jesus is not one of many great things, He is the only great thing. I am tired of serving the god of self. I am tired of giving Christ only part of my heart. I want to do the will of my Lord. I will seek justice, love mercy, and walk humbly with my God! Are you walking humbly with God, or are you serving the god of self? Guest devotion by Kyle Hubbard. Kyle is a slave to Jesus Christ, father, and pastor. He seeks to share the good news of the gospel with a broken and hurting world. Learn how you can become a guest writer.